Picking out the perfect plate set for your table can be a real challenge. 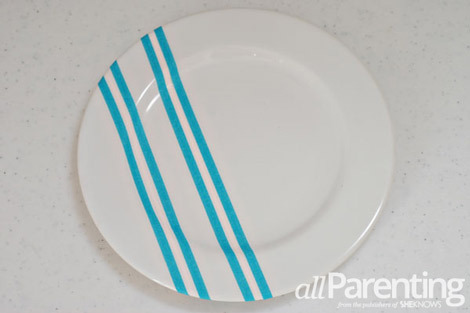 Whether you can’t find the perfect pattern or just don’t have the budget to spend on fancy plates, making your own DIY dinner plates is the perfect solution. 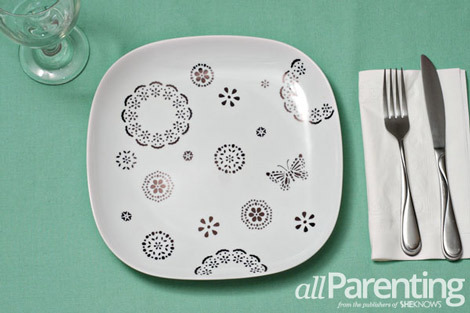 Grab some Sharpies and a pretty stencil and you are on your way to gorgeous custom dinnerware! Choosing the perfect dinnerware can be such a chore. It's so hard to find the right pattern in the right color to match your existing decor. Now you can add the perfect design in any color to your plain ceramic plates and bowls and make your own dinnerware that's beautiful and budget-friendly. Spray the area you plan to decorate with glass cleaner to remove any dust or residue, then wipe it dry. Lay your stencil on top of the plate. I highly recommend the Martha Stewart line of stencils. The sticky back makes the project so much easier. Start filling in the stencil with the Sharpie. Make sure to get all the way up to the edge of each opening. 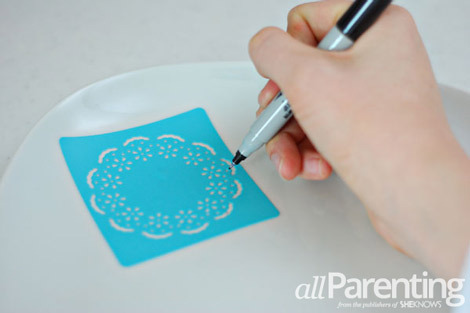 Color in all of the openings on the stencil, then peel the stencil off of the plate. 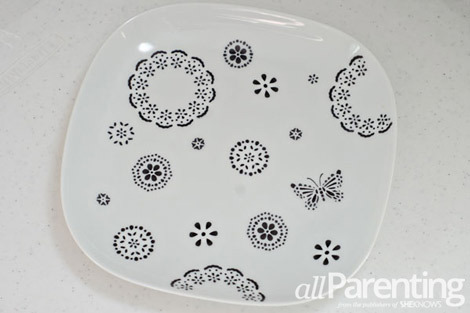 Keep filling in the plate with stencil designs until you are happy with the look. You can repeat the same stencil pattern or you can use a variety of stencil patterns to make your design. 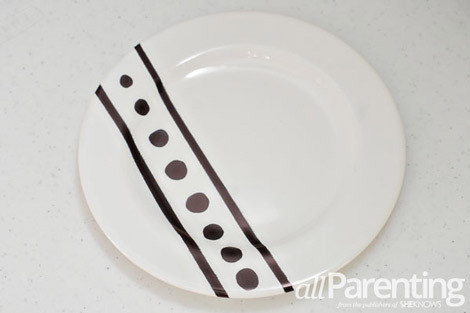 For a different approach, try taping off a design using Martha Stewart's patterning tape. If you don't have patterning tape, regular masking tape will work. Fill in the spaces between the strips of tape with the Sharpie. You can also add a free hand design. Put the plates in the oven before you turn it on, then set the oven to 350 degrees F. Let the plates bake in the oven for 30 minutes, then turn the oven off and allow it to cool. 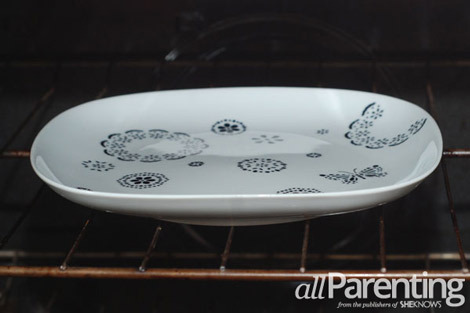 Once the oven has cooled you can remove the plates. Your custom plates are now ready to wash and use!